Perhaps you have had these thoughts? The Serpent can bite after a breakup. Satan is the serpent of slander and he often whispers lies and deceit. Self deprecation is a real temptation for many who have been broken up with. Perhaps this describes your current experience. 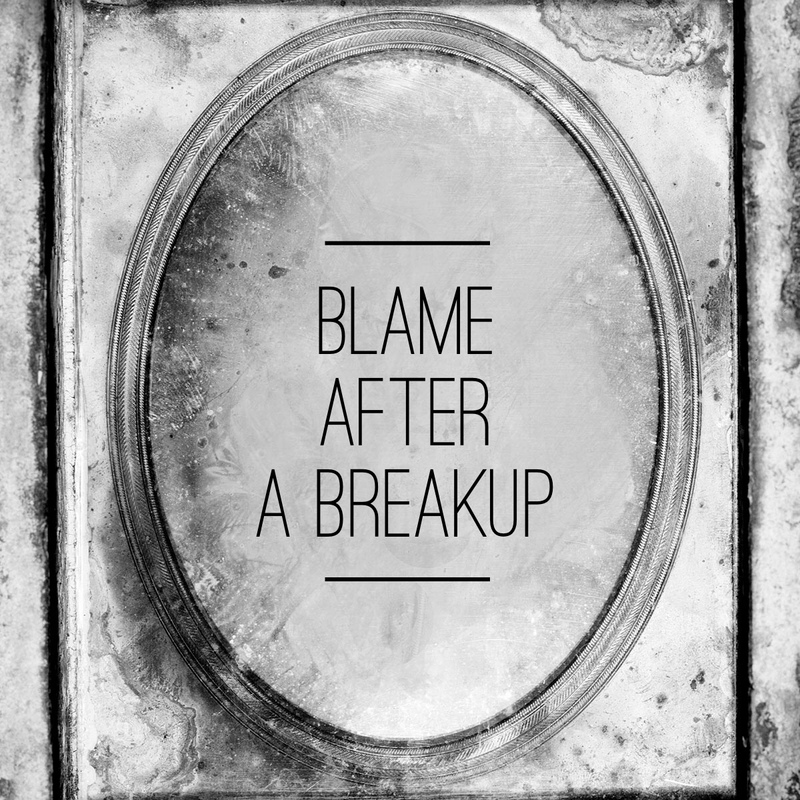 You might blame yourself and have spent hours cross-examining every conversation from your previous relationship. The call of the hour is for the Spirit to align all our thinking into conformity with the Scriptures. The reality is that everyone deserves eternal damnation and no one deserves to date a godly person. But the greater reality of the gospel is that God grants eternal life in Christ and that he can always satisfy the broken heart. Those who have been dumped need to realize they are not trash in God’s eyes. The good news is that Jesus never forsakes his children and he never has the final “we need to talk” conversation. The steadfast love of the Lord never fails and it can be trusted the moment before a relationship begins and the moment after a relationship ends. Take comfort in the truth that God withholds no good thing from his people. God never gives bad gifts to his people. Period. He has given us his Son and we can be sure that he will graciously give us all things to conform us into his image (Romans 8:32). The Scriptures tell us to have an honest assessment of our lives and that we should not think more highly of ourselves than we ought. There will always be areas in our walk with God that we should be growing. Perhaps someone says they broke up with you because of a character flaw or an area that needed maturing. The Bible wants us to learn from hard conversations and to grow in godliness. We should examine all criticism in light of the Scriptures and align ourselves with the revealed word of God. If there an area of our character needs attention, the proper response is to ask Christ for grace and to work out our salvation with fear and trembling (Philippians 2:12-13). It is true that we reap what we sow, but for the Christian this falls under the category of discipline and not punishment. We must be sober minded and realize that God does not punish his children. There is no condemnation for those who are in Christ (Romans 8:1). God never punishes his elect in this life or in the life to come. God is only for his people (Romans 8:28). The condemning lies of Satan must be combated with the believer’s spotless identity in Christ. Breakups are a time for honest examination and then a total affirmation of the righteousness found in Christ. If there is room for spiritual growth after a relationship has ended, don’t despair! Christ will give more grace. If sin was not involved, don’t blame yourself. You have been saved by grace. But we must beware of assuming every breakup is because of sin. Job’s suffering was not a result of sin and not every breakups should be equated with bad living. This is perhaps the sneakiest of all the slanderous accusations of Satan. This lie snares many. The most damaging part of this lie is how people respond to it. If a someone feels unattractive, he or she may seek fleshly solutions. Once this apple is bitten, it is often followed by depression and then sexual immorality of some kind. Or it may result in sinful eating habits or an obsession with exercise. The ripple effect of this lie can leave a wake of misery. The good news is that Jesus provides a glorious solution to this slander. Jesus takes this one head on and offers truth which brings lasting joy. Paul tells us not to let our adorning be external but to put on imperishable beauty. A gentle tone glistens more than a golden gem. And a quiet spirit sparkles more than a smooth sapphire. In God’s sight, the inner person is very precious. Beauty is in the eye of the beholder and that beholder is the Creator. We should have a category for keeping up physical appearances, but this should be in the back of our briefcase. As Christians, the inner person of our heart should be our business card. Next time Satan tempts you to dwell upon your eternal appearance, remind him that you are created in the image of God and you are being conformed into the glorious image of Christ. Remind yourself that you are pursuing holiness and this is very precious in the sight of the Lord. If you are tempted to despair in this area, remind yourself of the true standard of beauty. The true standard of beauty stands upright from the grave with open arms that welcome you. Run toward Christ and his righteousness. Spend your days at his feet instead of the mirror. As you continue to look into Christ’s radiant face, your face will glow in his glory (2 Corinthians 3:18).